Mine: Given the great talent involved, this should be better. It has some good moments but does not make a convinsing narrative. Kind of cool to see Willis as the villian. 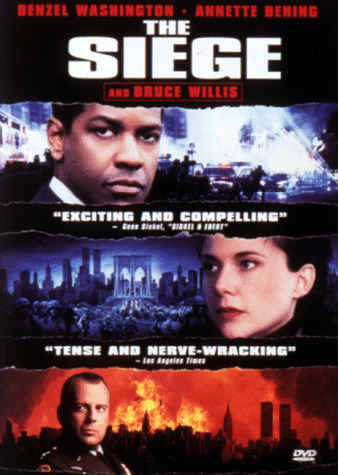 Leonard Maltin/Plot synopsis: The secret US abduction of a suspected terrorist leads to a wave of terrorist attacks in New York that lead to the declaration of martial law. (out of 5 stars) Great cast and exceptionally directed by Edward Zwick. Unfortunately, the script is largely undefined and Bruce Willis's character is just plain annoying(which is sad, cuz Bruce Willis is a great actor). Could've been much better movie.